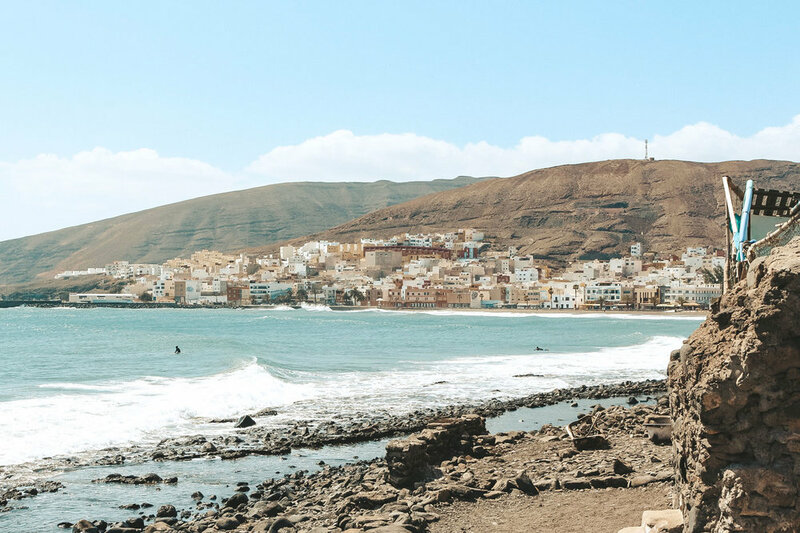 Gran Canaria, Morocco and Fuerteventura, the endless winter escape. With what seemed like an endless winter and a small window off work, we decided to squeeze in as much as we could based around the basic ingredients of surf, sunshine and smiles. The first stop would be Gran Canaria in the Canary Islands. Along with the help and knowledge of local legends Ivan and Angela, we slipped into some serious fun. A solid week of swell and sunshine predicted, which is more than the island had seen all winter, we made the most of what conditions were thrown at us. The south of the island is a little bit overrun with the migrating oldies of colder countries but with only a few minutes drive we found ourselves lost in long views of mountains and valleys, large empty sand dunes and cartoon looking lighthouses. GC is a greatly underrated island and with hosts like ours it was easy to see the charm and love of this special place. Next would be Morocco and with new policies in place of a certain airline, I was forced to leave most of my boards behind in the Canaries. Luckily my Catch Surf Foamie fit under the height restrictions and turned out to be the perfect travel and slide companion on the lengthy rides of Taghazout. 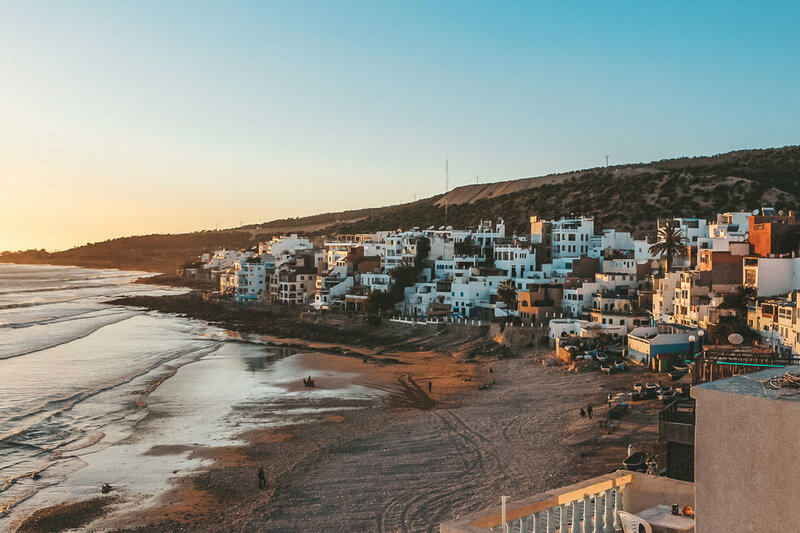 With colourful alleys, lively locals and palm tree covered point breaks, Taghazout is one place that never disappoints. A bit back out of town and a short stroll through banana village, we found ourselves on a trek up what is commonly known as Paradise Valley and even with some light rain and low clouds, lets just say it's aptly named. Only to completely contrast that with two days in the hustle and bustle that is Marrakesh. It was time to leave the mainland and get back to the islands. Reunited with my boards and long time buddy Hector, we had the idea of a solid week of scoring waves. This happened to turn into more of an adventure of looking for waves, discussing political world views, the lost beauty of 70s Spanish punk and trying to decide who our favourite European surfers were. In short form; we got skunked. A very windy island indeed, but still an island of much fortune. You see the beauty of an island is that if it is onshore on one side, it is usually offshore on the other. You just have to hope the swell makes it around too. Undiscouraged and fuelled by the multiple morning coffees we found ourselves checking every little corner possible and lucking into some fun sessions on the other side. 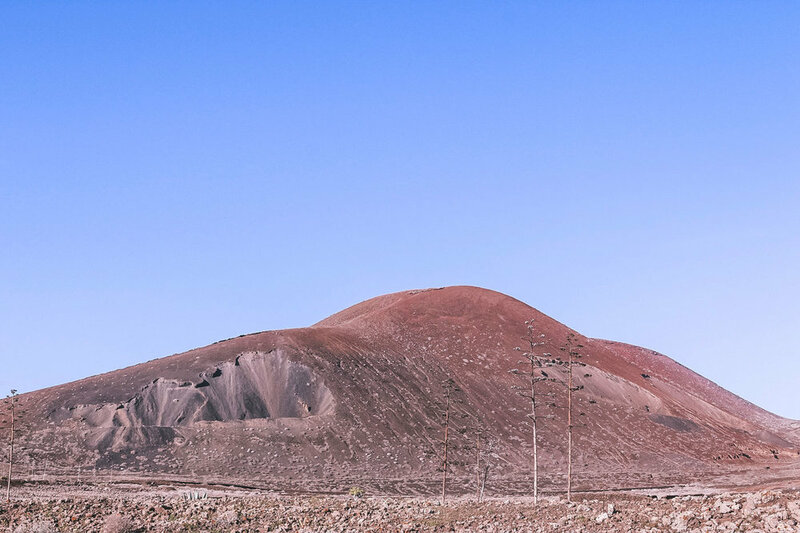 Not only is the island home to windy waves and some legendary locals, but its vastly covered in volcanic landscape and drenched with rich red sunsets. With dwindling swells the better option was to climb and observe the later two while cracking back a few cold ones and reflecting on what was.